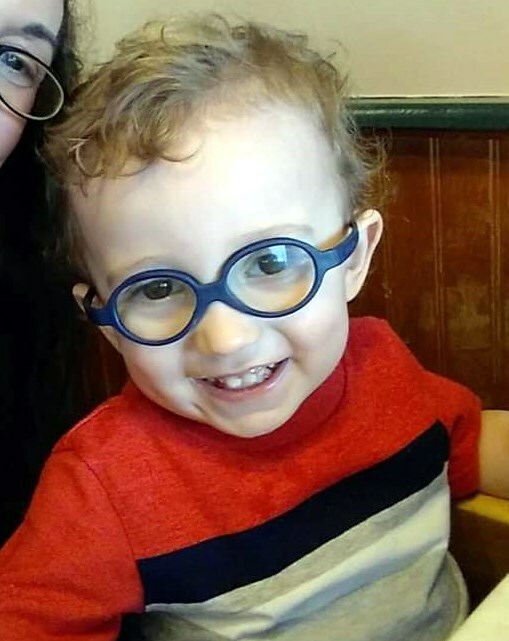 Oliver has Obstructive Hydrocephalus and a rare brain deformity called Dandy Walker Malformation, both of which have no known cure. He is also living with an inoperable cyst at the base of his brain. Oliver has had multiple surgeries. We've seen him go from no movement with severe balance and motor skill delays, severely impaired vision, hearing, and speech impairments due to this condition to what we are seeing today after 3+ years of therapy! He is also bravely battling Autism. Oliver has two fully functional shunt devices in his brain that keep him alive. Right now a shunt is the only treatment for Hydrocephalus and it requires brain surgery. Sadly the shunt has one of the highest failure rates of any surgical treatment. Oliver's first shunt was put in when he was 3 months old. After that shunt failed, a second one was surgically implanted to save his life. Then his cyst was surgically shunted as well. Without these shunts, he will die. If his shunt fails and our family isn't quick enough to see the signs, he will die. My husband works incredibly hard to provide for our family so that I can devote my life to making Oliver's quality of life better. Part of my devotion is advocacy for our child and for his conditions. We hope one day to find a cure for Oliver and for people like him living with Hydrocephalus.